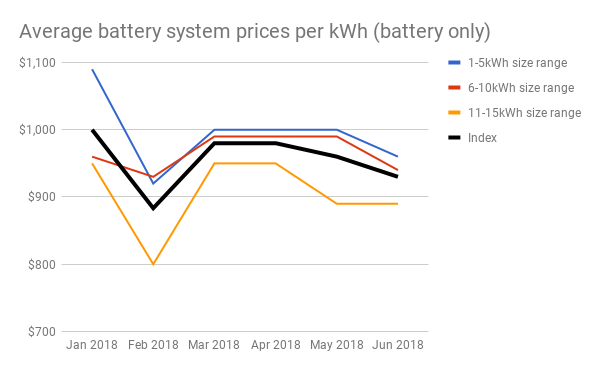 Even with substantial changes to the database used to compile this month’s index, average battery storage system prices have moved only slightly from May. 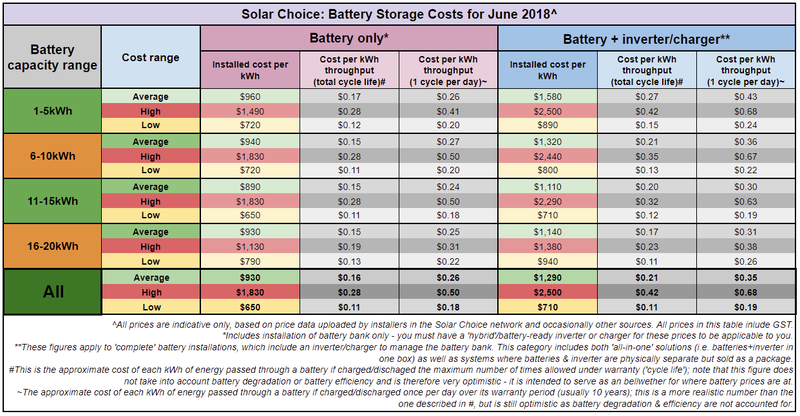 This seems to be an indication of the fixed hardware costs of battery storage systems (mainly the batteries themselves). 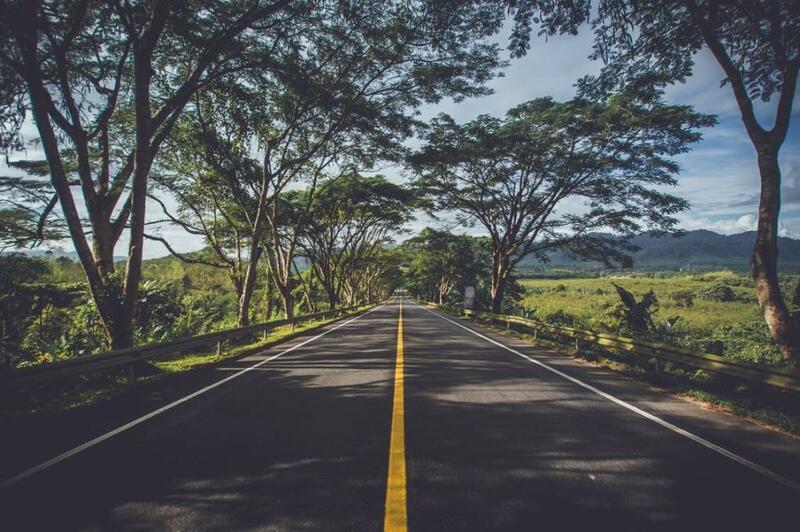 Even as competition increases and more players come into the space offering battery products to households, it appears that big changes still need to happen ‘upstream’ in the manufacturing sector before consumers start seeing significantly lower battery prices. 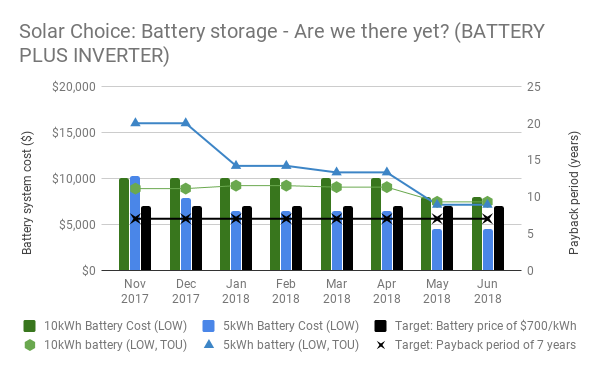 That being said, battery storage system prices are already at the point where they make sense for households with a mix of motivations for getting a system installed. They make particularly good sense for households who install a battery bank alongside a brand new solar PV system (as per the ‘battery only’ pricing & analysis points in this article). All the battery products use some lithium variant and have a 10 year warranty. 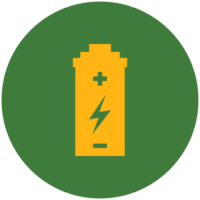 The battery brands included this month are Alpha-ESS (various sizes) LG Chem (RESU line, various sizes), Tesla Powerwall 2 (13.2kWh),products from sonnen’s eco range, Sungrow’s PowCube, various products in the Alpha-ESS range, and Pylontech (various sizes). Inverter brands included are Redback, Sungrow, SolaX & Goodwe. There’s a lot of information in the table below. The footnotes explain what it all means. 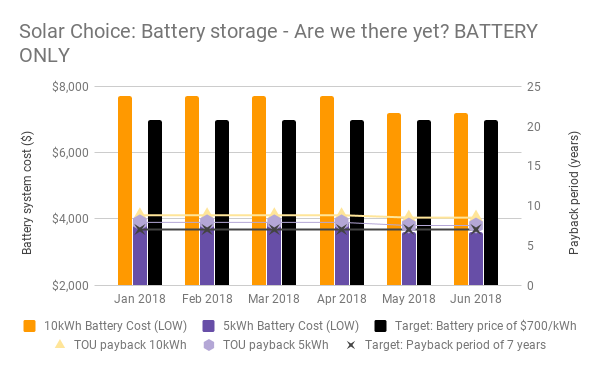 We look at the national ‘low end’ battery prices for moderately-sized (5kWh & 10kWh) battery systems (not a specific product, but more an amalgamation of various products that we’ve seen) and see how the estimated payback periods stack up against a theoretical ‘ideal’ payback period of 7 years; we see this 7 year mark as being a reasonable signifier of the battery market being where it needs to be to make sense for most households (the ‘there’ in ‘are we there yet?’). 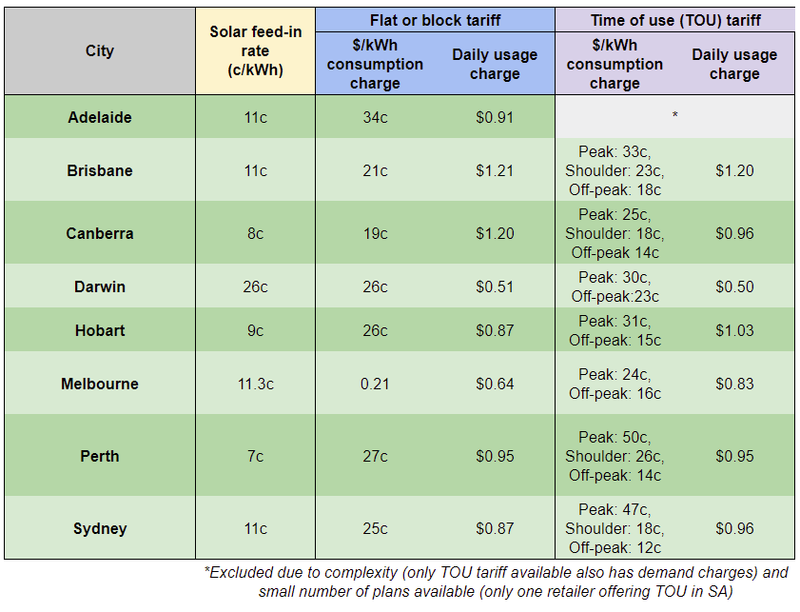 At $800-$900/kWh for systems on the ‘low’ end of the price spectrum, and with payback periods coming in at just under 10 years in the right combinations of circumstances, we’re close enough for lots of Australians to justify making an investment in a battery retrofit, but not yet in the territory of ‘mass appeal’. 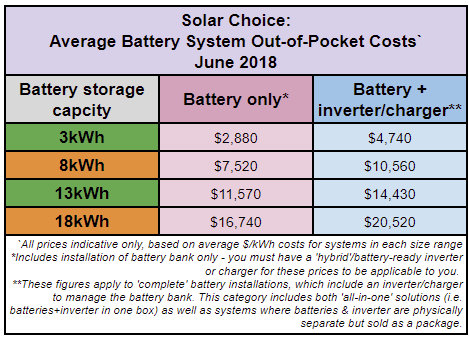 Prices for ‘battery only’ installations did not change this month as significantly as they did for battery+inverter systems, but the situation remains the same as previous months: For anyone in the market for a brand new solar system, it may be worthwhile to tack on a small or medium-sized battery bank while you’re at it, judging by this month’s data. A 5kW solar system plus (roughly) 5kWh battery bank could cost as little as $10,000, depending on where you live and which products you go with. A system of this size at this price would enable most households to dramatically reduce their electricity bills, would deliver a reasonable return and would allow for a respectable degree of energy independence (possibly including some emergency blackout protection). 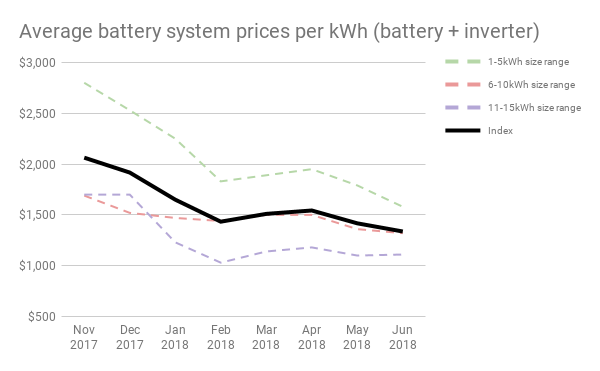 The charts below track historic battery price trends since Solar Choice started publishing the Battery Storage Price Index.